What is a Demo Day? What happens at a Demo Day? How long does a Demo Day session go for? 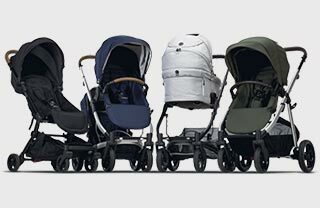 Attend a Demo Day and learn more about our beautiful range of prams. Our expertly trained team will give practical demonstrations of each model, so you can see our full range of thoughtfully designed prams in action. Learn about the difference between our prams, as well as the highly considered features and functionality of each model. Test the pram out for yourself in a relaxed, comfortable environment, with experts nearby to show you helpful tips and tricks. Meet fellow parents-to-be, as well as our highly trained and informative team, who will help and support you with any questions you have on the day. Can I purchase at the Demo Day and take a pram home that day? Where do you hold Demo Days?